Hong Kong food integrated Chinese and Western food culture and has a good reputation, you can eat as you like! The integration of the characteristics of different food culture, and geographical connection with Mainland China but also to get the essence of Chinese cuisine, Hong Kong Gourmet combined with dietary quality of excellence, making Hong Kong become a fully-fledged gourmet paradise. There are many choices for sweet taste in Hong Kong, Hong Kong, Western, Japanese as well as Southeast Asia style desserts, too. Decades later, cheese cake, chocolate cake, ice, etc. 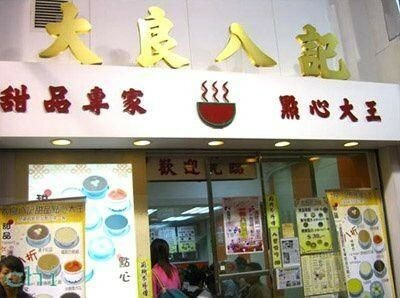 in turn swept the Hong Kong dessert market, Hong Kong style tastes as if stay in second and third lines forever. The truth is that, if you look carefully, they will find Hong Kong-style desserts are favorite desserts in Hong Kong, old dessert still does not close down, even if the taste of the dessert with the main innovation still join the traditional favor to attract guests. To know more about the desserts in Hong Kong, Daliang Eight Record must be on the list. This restaurant dates back to the 40s of last century, Guangzhou. 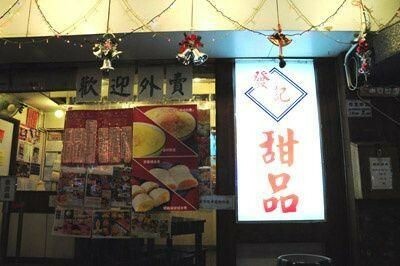 The founder had already owned two dessert shops in Guangzhou, as he was born in Shunde, the eighth child in his family, so he named his restaurant as the Daliang Eight Record. Later in the late 50s he closed it last century, after doing several jobs in Hong Kong, he finally found a good partner in the 80s, he decided to re-operate his restaurant again, so Daliang Eight Record can be seen now. 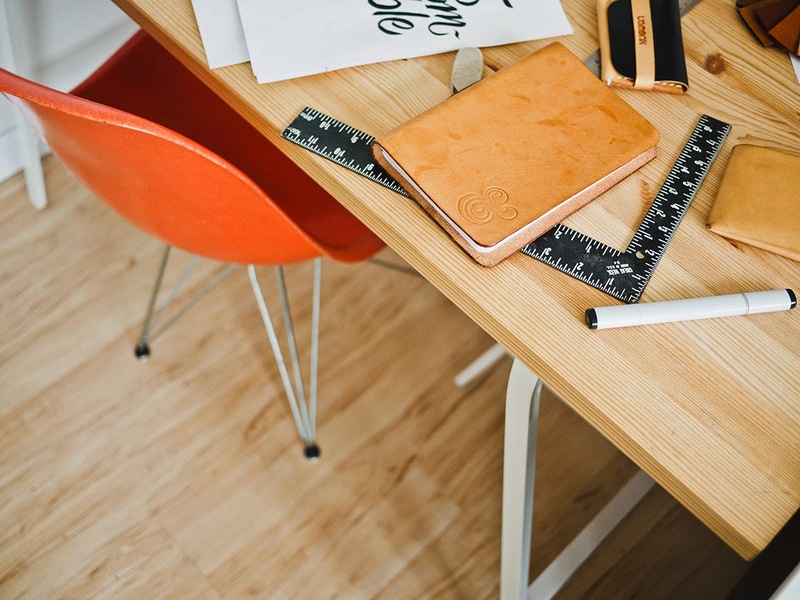 Nowadays, it has become Hong Kongs old but famous shop, its bright yellow and bright red signs are very eye-catching, with clean and bright store environment. Daliang Eight Record not only attracts the locals, but also loved by Japanese tourists. One of the characteristics of this old shop is fine in the food choices, so there are only a dozen models of dessert here, and the paste type desserts account for half of the desserts, such as almond paste, walnut paste, sesame paste and so on. The most unique one is the coconut paste. Make the fresh coconut into juice, mix a thick paste of boiled rice milk. Although the process seems simple, but it really takes a lot of time to do it well, because you can only grind little shredded coconut at a time, or it can not operate smoothly, making the process cumbersome. 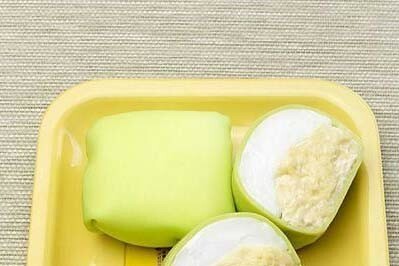 In order to keep fresh, the restaurant only supply the coconut paste on Sunday. 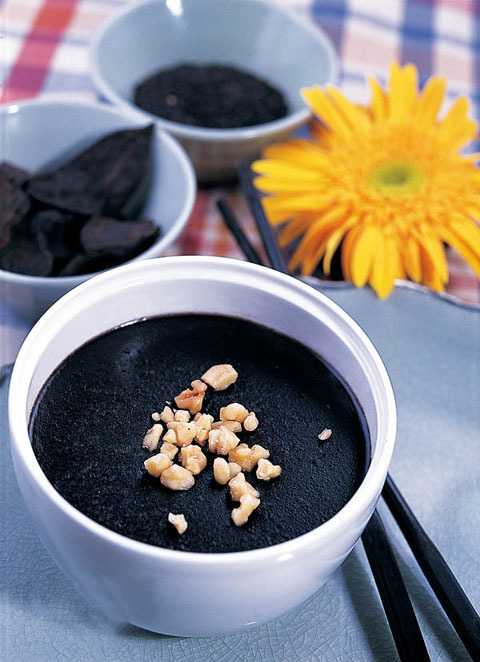 In the Yuanji Desserts which was old born in Hong Kong, you may find that the Chinese famous people such as Yinquan Zeng, Zekai Li, Xiaofeng Xu, Zhilin Guan sitting next to you, because they are all fans of the Yuanji Desserts. Yuanji Desserts is older than any of us, it was founded in 1885, moved several times in central area, later moved to the present site of West Centre Street. 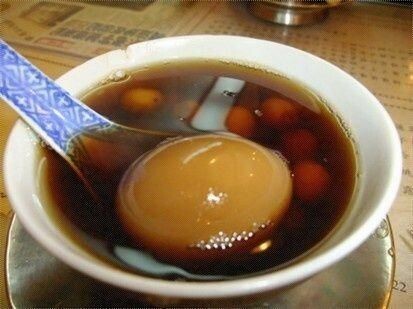 Loranthaceae egg tea dessert is the sign here, only use the old Loranthaceae, the old the better, it is extremely loose. 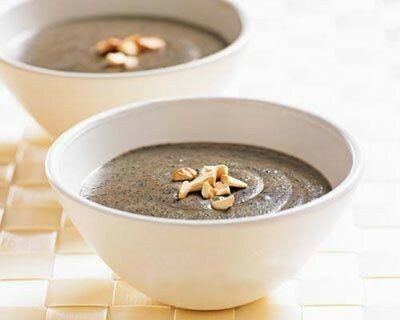 This dessert not only taste good dessert, but also has anti-anemic effect. This dessert remains its taste quality in the 25 years since it was opened. I could not help go into the shop and order a cup of seeds almond tea every time I passed the Dimao dessert shop, open the cover then came smelling fragrance of almonds, entry is silky smooth texture. 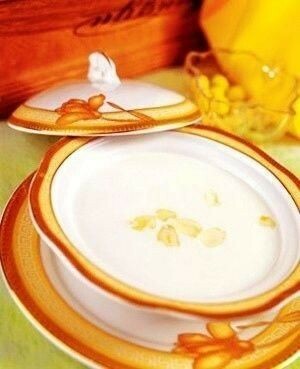 This dessert is quiet much enough for one person, if you will feel half full when eat half cup. My friend likes the sesame paste most because it is intense with strong sweet smell. Remind you that there will be long lines on the eve of every holiday the famous restaurant in Kowloon City, so Dimao dessert shop is the same, so be prepared well. ﻿Glutinous Dumpling King was opened in To Kwa Wan 30 years ago, and the dumplings are well known for the natives, Chow Yun-Fat is one of the regular customers who come here frequently. The dumplings here are all man-made goods. In order to maintain fresh, this shop packs the dumplings at night, so they have thousands of dumplings to sell the following day, but the dumplings will not be placed more than two days. Inheriting the boss mothers secret recipe, first clean the sesame then fry with low heat over 45 minutes, then grind to a finer, the secret is to add a small amount of peanut to add sand filling waxy texture, so dumplings have a special name, called Ma Rong, not sesame. 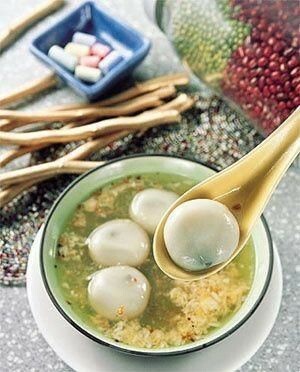 Put a smooth rounded scoop Ma Rong dumplings into the mouth, it really causes the taste buds of the resonance. Ginger syrup can not be ignored, spicy and fresh. Many guests sometimes only order a bowl of ginger syrup, then take dumplings home for slowly taste. ﻿Just look at its name, you can guess what kind of desserts this store supplies, that is the raw grinding paste desserts, but what you could not guess is that the shop will always have new ideas to provide new kind of dessert to satisfy guests. 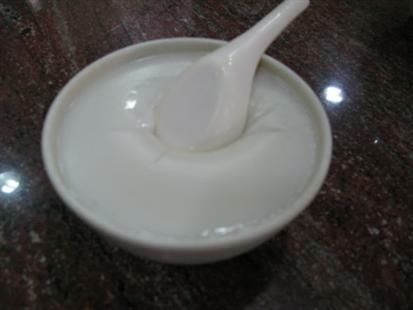 The most successful case is the Mango Lao He in Chinese which is made and sold like the salt, rather unique. “He" here is not the rice noodle people usually eat, but the food to be created with coconut milk, clear noodles, milk and sugar which is made into frozen milk bars, cut into strips after the solidification, together with milk and white rice noodles with somewhat similar, so they borrowed the name as Hofen. 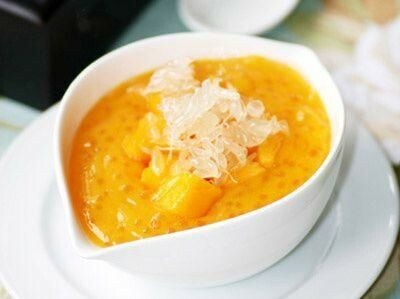 As for the "Lao" people of Hong Kong called, that is the way putting the sauce mix to eat, this dessert with mango juice mixed with sugar syrup to eat. 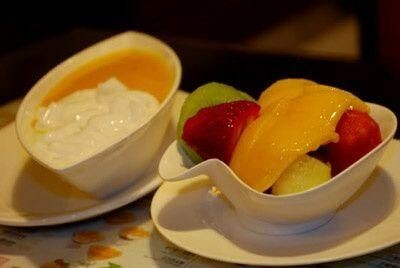 There is sweet desserts mango, sprinkled with white sesame seeds on the surface of, taste and texture are good, no wonder the Japanese magazine also coverage this style of food. 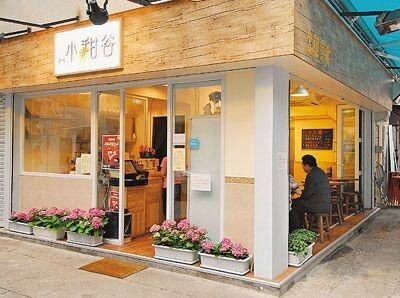 ﻿ ﻿At first, Fa Kee went with the similar selling line with Man Kee, providing a variety of durian desserts, and later using good materials for making the dessert called Yang Zhi Gan Lu, then the guests become favorable for it, so this shop got fame. They don’t use the lower cost Luzon mango, but the Philippines’ Feilong mango, which is unusual, sweet, flesh, more runny texture than the Luzon mango. They also strict with the grapefruit never consider Citrus, only use the Thai pomelo, with every single meat is plump and juicy grapefruit. Even the coconut is not sloppy, when other stores are all using canned coconut milk, Fa Kee is generous, they purchase packs of fresh coconut milk. So strict with the selection of materials, Yang Zhi Gan Lu becomes the sign of Fa Kee. Tai Hang is in the back garden of Causeway Bay, though with hidden location, it still attracted a large number of small fashion stores. The bosses of Small Sweet Alley shop are not just the influx of people, but also stars, they are Jo Koo, and Vincent Kok. Of cause, star restaurants usually caused a boom, however, many such kind of shops close down for the poor quality of food. At first people thought the Small Sweet Alley is a shop of opening soon, blast field every night, but if you put aside all prejudices to taste the desserts, you will find the extraordinary strength of this store. 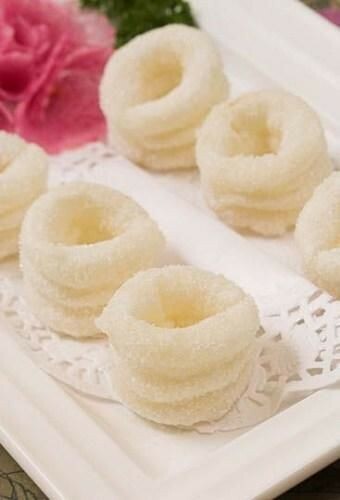 There are dozens of desserts, in addition to a series of innovations with a dessert made of milk in Hokkaido, the others are the traditional taste of all Hong Kong-style, such as protein almond tea, red bean and bean curd, etc. But the Jo Koo has his own character, and he join the Japanese materials in the dessert, making it unconventional, like a bowl of Japanese red bean curd, tofu added with the Japanese red beans, apart from the larger particles, waxy texture red beans. Existing traditional Hong Kong-style desserts are sugar-based, there are also a few bakeries, the shop still supplies the old Hong Kong cakes, there are several such shops in deep water district, like the 50 years of Hongfa, which supplies wormwood, taro cake, muffin, etc. every day. Many people think that only the older people appreciate these old Hong Kong sugar cake like sesame cake, pastries, while Kwan Kee, another dessert shop in HK, maintains the sales level these years. The new generation, young people, OL are also love these old-fashioned cakes. Most of the old-fashioned cakes were used rice paste as materials, make the cakes soft but tough, so rice is the key factor for it can be good or bad. Kwan Kee aware of this rule, even if they have the existing sticky rice, they still insist to polish rice paste on their own every day, in order to keep it fresh. Like sugar cake, the rice slurry from the grinding, mixing the old fermented rice slurry made of moderate sweetness, loose but not stick teeth. Man kee is the first shop launching a group of durian desserts, and it is the most successful one, even the famous Hong Kong gourmet Chua Lam is an honored guest.